There are some great phones under Rs 20,000 in the Indian market right now. The newest addition to the bandwagon is the Redmi Note 6 Pro. Xiaomi has launched the Redmi Note 6 Pro in India on Thursday for a starting price tag of Rs 13,999. This price is for the base model of the phone which comes with 4GB RAM and 64GB storage. The top-end model of the phone with 6GB RAM and 64GB storage comes for Rs 15,999. The smartphone goes on sale for the first time in India today on Flipkart, Mi.com and Mi Home. Most smartphone manufacturers in India are looking to bring phones under Rs 20,000. Xiaomi also works on the same line. On arrival, the Redmi Note 6 Pro already has a lot of competition from other phone makers. Some of the competitors of the Redmi Note 6 Pro include the Realme 2 Pro and the Honor 8X. 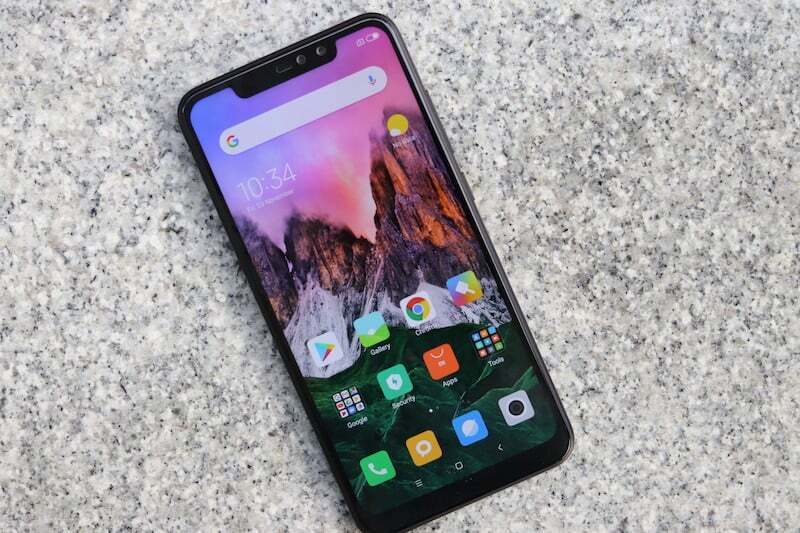 So how different, good or bad is the Redmi phone from the Honor and Realme? Let’s take a quick look at all the differences. Xiaomi’s Redmi Note 6 Pro already witnessed a huge demand from consumers as the company sold more than six lakh units during the first sale itself. Xiaomi held four such sales today, so the number must’ve surpassed one million by now. During the sale today, the Redmi Note 6 Pro will be available for a lower price of Rs 12,999. This price is for the 4GB RAM model. Meanwhile, the 6GB RAM model of the phone will be available for Rs 14,999. This offer is available only for today. The Honor 8X, on the other hand, will sell for starting price of Rs 14,999. This price is for the 4GB RAM and 64GB storage model. The 6GB RAM/64GB storage model of the phone sells for Rs 16,999, while the top-end variant with 6GB RAM/128Gb storage is priced at Rs 18,999. The Realme 2 Pro in comparison comes for a starting price of Rs 13,990. This price is limited to the 4GB RAM variant. The 6GB RAM model of the Realme phone comes for Rs 15,990, while the 8GB RAM model sells for Rs 17,990. The newly launched Redmi Note 6 Pro comes with a big 6.24-inch full HD+ display with a 19:9 aspect ratio and a notched display. Yes, this is the first Note device from Xiaomi to come with a notched display. In comparison, the Realme 2 Pro comes with a 6.3-inch FHD+ display, while the Honor 8X comes with a 6.5-inch FHD+ panel. Both the phones come with a notched display. The Redmi Note 6 Pro is powered by a Qualcomm Snapdragon 636 octa-core SoC. The phone comes in two variants, with 4GB and 6GB RAM paired with 64GB storage. In comparison, the Honor 8X is powered by a Kirin 710 octa-core SoC, while the Realme 2 Pro comes with Snapdragon 660 chipset. The Honor phone is available in two RAM models — 4GB and 6GB RAM, and two storage models — 64GB and 128GB. The Realme 2 Pro comes with 4GB, 6GB and 8GB RAM options paired with 64GB and 128GB storage options. The Redmi Note 6 Pro is backed by a massive 4000mAh battery, while the Realme 2 Pro comes with a 3500mAh battery. In comparison, the Honor 8X includes a 3750mAh battery. All the three Redmi, Realme and Honor phones come with expandable memory support via microSD card. On the software front, the Redmi Note 6 Pro runs on Android 8.1 Oreo with MIUI 10 out-of-the-box. In comparison, the Honor 8X runs Android 8.1 Oreo with EMUI 8.1, while the Realme 2 Pro comes with Android 8.1 Oreo with Color OS on top. All the phones are expected to get the Android 9 Pie update soon. On the camera front, the Redmi Note 6 Pro comes with four cameras in total. It comes with two cameras on the back and two on the front. As for the camera specs, the Redmi Note 6 Pro includes a 12MP primary sensor with f/1.9 aperture and a 5MP secondary depth sensor. In comparison, the Honor 8X comes with a 20MP primary sensor and a 2MP depth sensor. The Realme 2 Pro, on the other hand, comes with a 16MP primary sensor and a 2MP depth sensor. On the front, the Realme 2 Pro and Honor 8X come with 16MP selfie shooter, while the Redmi Note 6 Pro includes a dual camera setup which sits inside the wide notch. The Xiaomi phone includes a 20MP primary camera and a 2MP secondary sensor. Xiaomi has mentioned on their website that Redmi Note 6 pro does support Carrier Aggregation. Who will confirm whether redmi note 5 pro supports CA/4G+?? For Mumbai or maharastra..
No CA on Redmi Note 5 Pro. Moto One Power and Moto G5s/G5 Plus have 2CA and provide consistently better speeds with Jio. Realme 2 Pro has worst modem so far in it. Asus Zenfone Max pro M1 has also worst modem. Honor 8X and Redmi Note 5 Pro provides same speeds on Jio. Don’t know about CA on Honor 8X though. Moto one power gives almost double speed of Redmi Note 5 Pro on Jio.